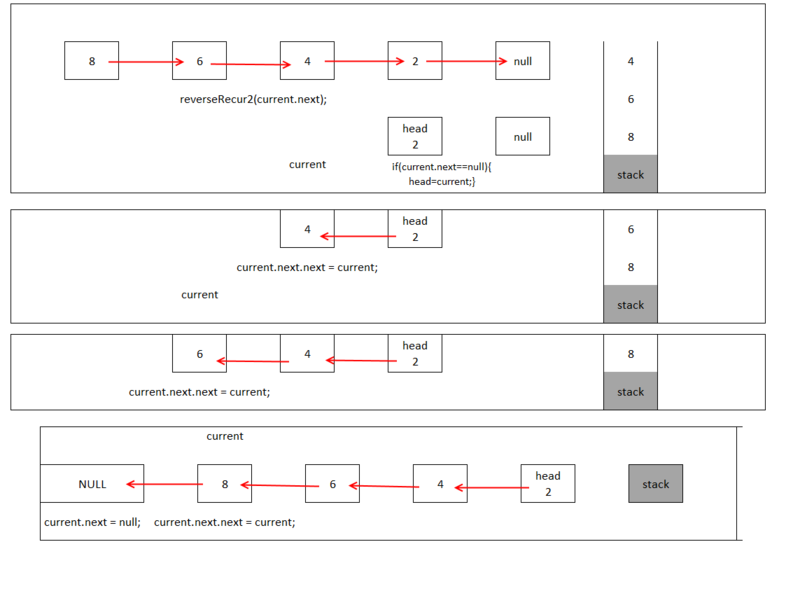 This post is the extension of our earlier post Reverse a linked list. Here We have provided the better recursive solution in which we start reversing the list from the end. Traverse till the end of list through recursion. Make the last node as head. take these nodes and start pointing it to next node coming out of stack. Next story Binary Search Tree Complete Implementation. 242 queries in 0.137 seconds.